360Works CloudMail leverages various services managed by Amazon Web Services (AWS) for sending reliable, secure, and scalable email messages from FileMaker in an "email marketing or e-blast" format. This allows CloudMail to send to a single recipient or to a 20,000 person newsletter list and track analytics such as who receives the message, who views it, and who clicks any links in the message. On October 19, 2018, Amazon Web Services Simple Queue Service (SQS) will be changing their method for sending large message payloads which requires us to change our plug-in framework for CloudMail. 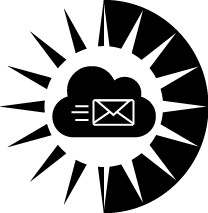 This plug-in update is critical to continue using 360Works CloudMail for sending email messages. CloudMail users will need to update their plug-in to version 3.1 as soon as possible (before October 19, 2018). CloudMail 3.1 is available today as a free software update for licensed users with active maintenance. Users who have not purchased or renewed maintenance outside of 1 year from their date of purchase will need to pay for the new version. For more information, visit: the CloudMail Licensing Page.